Irresistibly drawing you in to revel in its modern sophisticated beauty, our Beckham Bedroom Collection turns utilitarian dressers and media chests into exquisite works of art. With its undulating panels and provocative platinum finish on birch veneers over select hardwoods, sleeping becomes an indulgent escape. French and English dovetail joinery, side mount ball bearing metal guides, felt lined top drawers and touch lighting on the nightstand are just some of the features that make this collection an experience in artistic perfection. All cases are shipped with KD leg. 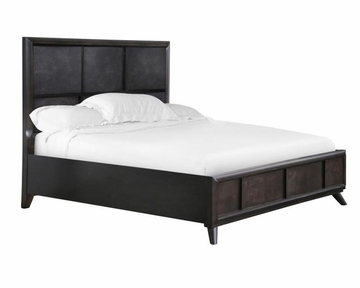 Headboards can be sold seperately for metal bed frame.